This currently appears to be the final album currently available from temp sound solutions' Powar series. tss takes a handful of tracks from the soundtracks to some overlooked games, and tears them up in the way only this group can. From Ecco Jr to Garfield, expect the unexpected on this album, and expect to rock out to the unexpected as well. 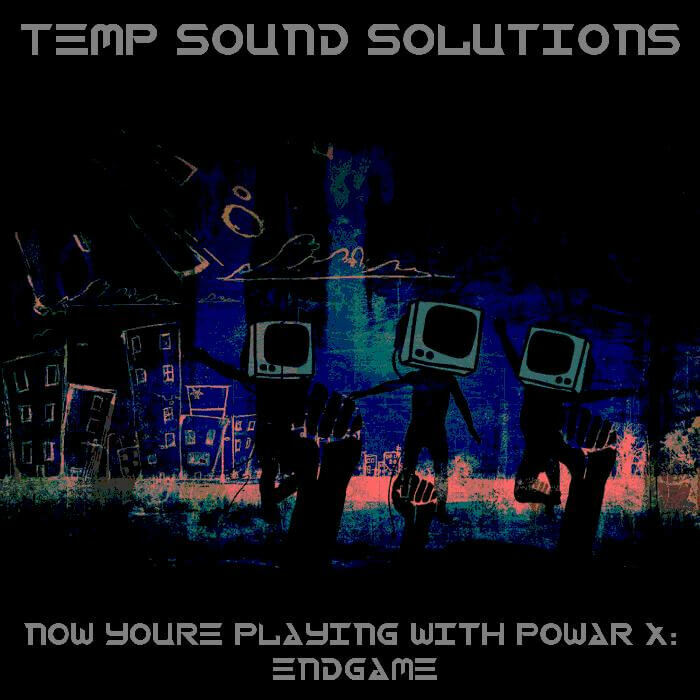 Somehow I have covered most of temp sound solutions' Powar series. Yet, somehow, I missed out on the most recent one, now youre playing with powar x: endgame. I'm glad I scrolled on through the tss bandcamp page to rediscover this one. Much shorter track listing than some albums in the series, but the full live tss band is on display for the entire album as well. So if you multiply tracks by musicians, then it's even more incredible.